The due process hearing in this matter was held on September 13, 14, and 15, 2011, in Los Angeles, California, before Administrative Law Judge (ALJ) Clifford H. Woosley, Office of Administrative Hearings (OAH). Mother appeared on behalf of Student. 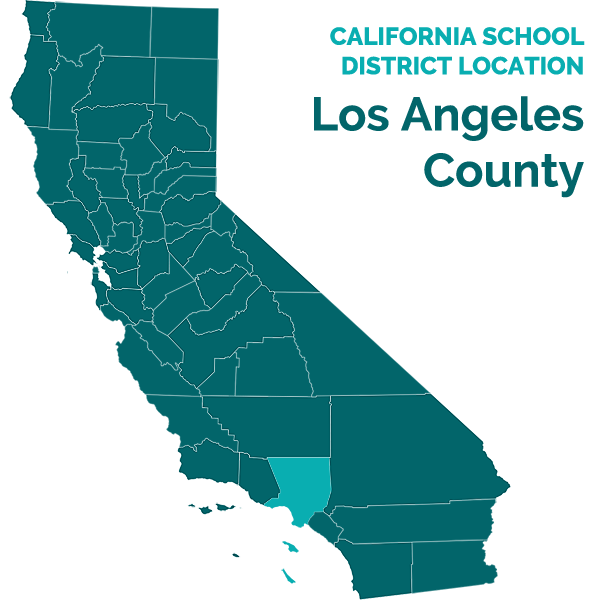 Deborah R. G. Cesario of Lozano Smith, Attorney at Law, appeared on behalf of Los Angeles Unified School District (District). District representatives included the Administrative Coordinator of Due Process, Sue Talesnick, as well as Due Process Specialists Sharon Snyder and Doreen Ruben. On March 2, 2011, Student filed a Request for Due Process Hearing (complaint). On April 12, 2011, OAH granted, for good cause and at the request of both parties, a continuance of the due process hearing. On September 15, 2011, at the close of hearing, the parties were granted permission to file written closing arguments by September 30, 2011. Upon receipt of the closing arguments, the record was closed and the matter submitted. implement Student’s May 11, 2009 and May 5, 2010 IEPs by not providing Student with extended school year (ESY) services. 1. At the time of hearing, Student was 19 years old1 and beginning his senior year at Venice High School (VHS). Student has ataxic Cerebral Palsy (CP), mild/moderate mental retardation, asthma, seizures, and developmental delays, which qualify him for special education. Student is nonverbal and communicates with vocalizations, expressions, some American Sign Language (ASL) and gestures, as well as a communication device, called a “SpringBoard.” Student’s ataxic CP affects his gate and balance, which impacts his ability to transition and navigate the school environment. He attends a special day class (SDC) in the District’s mental retardation moderate (MRM) program. Except as otherwise indicated, District provided Student with an adult assistant (AA) for transportation and throughout the school day. 2. Mother testified at the hearing. She was involved in their church, community and school organizations, attending many events associated with special education of children who have disabilities. She was voted onto the school psychology council at VHS, was a member of the VHS parent organization, and donated to, and participated in, after school programs at VHS and other schools. She participated in the parent organizations at University of California, Santa Barbara, and at Trade Tech College. She also works with parents who have children with special needs or issues, but have grade point averages exceeding 4.00. 3. As of May of 2009, Mother wanted to address a number of concerns regarding Student at his upcoming IEP team meeting. Before the meeting, Mother spoke to Student’s special education (SE) teacher, VHS’s administrator and resource specialist teacher, the school nurse, the vice principal, deaf and hard of hearing (DHH) services, speech and language (SAL) services, and the District’s downtown Los Angeles central offices. In addition, prior to the meeting, Mother listed her concerns in writing entitled “Parent Comments,” which she planned to distribute to the IEP team at the meeting. 6. The team reviewed Student’s present levels of performance (PLOP) in the areas of Health, Written Language, English Language Arts, Mathematics, Vocational Education, Motor Physical Therapy, and Communication. 7. Marilyn Fonseca, who was Student’s SAL therapist, prepared Student’s Communication PLOP and testified at hearing. Ms. Fonseca earned her bachelor of arts in speech and hearing science from the University of California, Santa Barbara, in 1977, and a master of arts in speech language pathology, including her state license, from California State University, Los Angeles, in 1988. She has held a clinical rehabilitative services credential in speech, language, and hearing, since 1985 and has worked as an itinerant speech and language pathologist with the District since 1980. 1 Student had assigned his educational rights to his Mother. 2 Marina Barisowa, a resource specialist who was District’s administrative designee for the May 2009 IEP team meetings, remembered the events differently. According to her, the meeting was continued from May 6, 2009 to May 11, 2009 because the meeting had started, but Mother wanted an SAL therapist to attend. Ms. Barisowa was not credible on this point, and was generally not persuasive. Ms. Barisowa was nervous and tentative when answering Mother’s questions at hearing about why the IEP meeting did not proceed on May 6, 2009; however, she became more responsive and specific during District’s questioning after a break. Further undermining Ms. Barisowa’s credibility was her inability to explain why no SAL therapist ultimately attended the May 11, 2009 meeting if, as she testified, that was why it had been postponed. 3 The signature page for the May 11, 2009 IEP meeting was dated May 6, 2009, the date upon which the meeting was initially scheduled and for which Mother and some IEP team members appeared. District administrative designee, Ms. Borisowa, did not recall on what date the signature page was signed by the attendees (May 6 or May 11), could not adequately explain why there was not a signature page for each meeting, and admitted that it did not accurately reflect those who attended on May 11, 2009. 8. At the time of the hearing, Ms. Fonseca had provided speech and language services to Student for approximately four years. Her testimony generally demonstrated a thorough knowledge of Student’s speech and communication needs. Ms. Fonseca explained that Student made progress in communication through the use of a multimodal communication system in the classroom setting, which was a combination of vocalizations, gestures, and a dynamic display device to make requests and to describe ideas and feelings. Student utilized his dynamic display device to develop sentences regarding what he was going to do, whose turn it would be, or whether he felt tired or sick; however, he required maximum assistance to do so. His AA provided him with consistent assistance, which resulted in Student making significant progress with communication in the classroom. Student’s strengths were in communicative intent, pragmatic language, and language. 9. Ms. Fonseca noted that the Student’s MRM program was designed to accommodate and allow for modifications in the area of communication. Considering Student’s cognitive level, his limited ability to physically form the mouth shapes necessary to vocalize, and the multimodal communication model, Ms. Fonseca recommended individual SAL services for one 30-minute session per week with a total of 120 minutes per month. The SAL annual goal in the May 22, 2009 IEP required Student to participate in classroom oral language activities through the use of a multimodal communication system (i.e., communication device, verbalizations, signs, and gestures) with 70% accuracy. 10. During testimony, Mother referred Ms. Fonseca to a 2008 SAL report where independent SAL pathologist, Susan Gray-Holland, Ph.D., evaluated Student on one day and visited Student’s school on another day when Student was not present. Dr. Gray-Holland recommended speech therapy, twice a week, for 45 to 50 minutes a session. Ms. Fonseca was familiar with Dr. Gray-Holland’s 2008 recommendation and disagreed. Ms. Fonseca persuasively testified that increasing the time and frequency of SAL therapy would not make a significant change in Student’s oral performance because of his developmental and cognitive levels. 11. Student’s multimodal communication system included the use of an augmentative communication device. At the time of his May 2009 IEP, he used a SpringBoard, which displayed various screen icons that Student tapped or touched, moving the screen to different icon sets, depending on Student’s communicative intent. District Augmentative and Alternative Communication (AAC) assessor and pathologist, Marshall Fenig, previously conducted an Assistive Technology (AT)/AAC evaluation of Student in June 2008. Mr. Fenig, who testified at hearing, earned his bachelor of arts in communication disorders from California State University, Northridge, in 1992, and his masters of education in special education from the University of Nevada, Las Vegas, in 1996. He obtained a master of arts in communications disorders from California State University, Los Angeles, in 1999. He holds a California rehabilitative services credential and is a state licensed speech and language pathologist. He is certified by the American Speech-Language-Hearing Association (AHSA) and holds an assistive technology applications certificate. He is a member of ASHA and the California Speech-Language-Hearing Association (CSHA). Mr. Fenig has been a clinical supervisor of speech and language students at California State University, Northridge, since 2008, and has been an AAC assessor and SAL pathologist with the District since 1996. Over the previous 10 years, Mr. Fenig had made numerous presentations regarding AAC to professional associations, university occupational therapy and communicative disorders programs, hospitals and service providers. 12. When Mr. Fenig assessed Student in 2008, he concluded that Student required augmentative communication because Student could not participate in oral language opportunities. Initially, he recommended a static display system of paper overlays, upon which Student could record messages. However, after some further discussions and evaluation, he believed that Student should try a dynamic display system. Mr. Fenig provided the SpringBoard, programmed the screens, and taught Student how to use the system. He also provided training to Student’s SAL therapist, SE teacher, and AA, and was available for programming and maintenance of the system. He was never told at school that the device was broken or not working. He was not aware of how often Student used the SpringBoard because he did not work with Student in the classroom. In Mr. Fenig’s opinion, Student never had a problem with accessing the SpringBoard and he believed that Student had benefited and progressed with the device, based on discussions with Student’s SE teacher, SAL therapist, and the AT service providers. 13. Many of the PLOPs in the May 2009 annual IEP referred to Student’s use of the SpringBoard AAC device as part of his multimodal communication. The SAL and vocational education goals identified Student’s Springboard voice output device as a means of achieving his goals. The IEP team concluded that District would continue to provide Student with the SpringBoard as a necessary AT/AAC related service. 14. Even though Student had no documented hearing loss, he received ASL lessons from itinerant DHH teachers. ASL was the IEP team’s attempt to provide Student with another mode of communication. DHH teacher, Virginia Schimmoller, who testified at hearing, earned her bachelor of arts from the University of California, Los Angeles, in 1998, and a masters of education from the University of Southern California, in 2002. She obtained her clear level II special education credential in 2004. She has been a DHH teacher with District since 2009. Previously, she was a DHH teacher at Oralingua School for the Hearing Impaired for seven years. 15. Ms. Schimmoler did not attend the May 2009 IEP but was involved in drafting the DHH/Signed Communication PLOP, which indicated that Student understood and produced signs for the words “Dad,” “eat,” “bathroom,” “drink,” “good,” “boy,” “girl,” “dog,” “more,” “bird,” “friend,” “water,” “finished,” “yellow,” and some other colors. However, Ms. Schimmoler emphasized in testimony that Student could not make or understand the signed words without prompts. He could spontaneously sign a few words, such as “bathroom,” “mother,” “stop,” and “thank you.” Ms. Schimmoler defined “spontaneously” to mean the Student would sign without prompting, cuing, or modeling. If Student did not spontaneously sign, he did not have communicative intent. 16. Though Student was nonverbal, his hearing was intact. ASL was the IEP team’s attempt to provide Student with another mode of communication. Student’s educational environment was not with deaf and hard of hearing students, and consequently, he was not surrounded by a signing community. The PLOP noted that sign language may not have been conducive to accessing his core curriculum, or his peers. Though Student made minimal progress in using ASL to communicate in the school setting, the IEP team recommended continuing the ASL training at Mother’s urging. The new DHH/Sign Communication goal was for Student to indicate his wants and needs, using 20 new signs throughout the school day with 80% accuracy, four out of five times. 17. The IEP team believed that the ataxic CP affected Student’s gate and balance to such an extent that safety required an aide’s assistance. The IEP provided Student with an AA for the full school day to assist Student in transition, lunch, nutrition, locker room, and classroom settings. The IEP provided that the AA would meet and accompany Student on the bus ride to and from home and school, as well as accompany him as he transitioned from one location to the next on campus. Though Student appeared unstable, no evidence indicated that Student had ever fallen at school, requiring the AA’s assistance. 18. The IEP team stated that the AA would also provide Student with academic support in the classroom by using verbal prompts, explicit modeling, specific explanations, and frequent verbal reinforcement. The AA would also accompany Student to all related services, such as ASL training, SAL therapy, and AT. 19. The IEP also recognized that Student required an AA to monitor health needs and provide him with Asthma medicine, tissues, and other materials needed to maintain Student’s health and safety. The AA would assist Student in maintaining proper hygiene, including accompanying him to the restroom. 20. The school nurse, Vickie Beckwith, who prepared Student’s Health PLOP, testified at hearing. Ms. Beckwith had known Student since 2007 when he first came to VHS. Because the Health PLOP reported that Student had experienced an increase in seizure activity and asthma symptoms during the previous few months, the IEP team determined that District needed to closely monitor Student’s condition and the administration of asthma medications. Student had two types of asthma or breathing medications, an inhaler and another that required the use of a mask, which was for more serious attacks. Ms. Beckwith would regularly see Student and his AA, because Student would use the single, private bathroom in Ms. Beckwith’s offices, two to three times a day. The AA always accompanied Student to the bathroom, but never went into the bathroom with Student. Student independently met his toileting needs. Ms. Beckwith explained that Student had only received services from a male AA who, at the time of the IEP, was Robert Moore. 21. Student’s SE teacher, Ms. Bahremand, who attended the IEP meeting, testified at hearing. Ms. Bahremand received a bachelor of arts in economics and business administration in 1985, a master of arts in education and school library in 2003, and a master of science in special education in 2007. She received a clear, multiple subject teaching credential in 2001, a clear library media services credential in 2003, a preliminary level one education specialist instruction credential in 2004, and a clear level two education specialist instruction in 2008. In 2009, she became a National Board certified teacher and is credentialed in mild to moderate disability for special education. As a SE teacher, Ms. Bahremand participates in continuing education workshops, seminars, and training through the District. She started teaching for District in 1998 as a substitute in elementary, middle, and high school. In 2003, she started as a SE teacher at VHS where she has remained. 23. Ms. Bahremand’s classroom goal was to create an environment where students showed a willingness to take risks, feel confident, and advocate their needs and interests. She taught life and social skills, reading, math, and health. Ms. Bahremand wanted to prepare her students to work independently as much as possible, making for a smoother transition from high school to adult life. The number of adult assistants in her class varied. Typically, there was one adult classroom assistant for the whole day (five hours). There were also four to five AAs who were individually assigned to pupils, including Student. 24. Student steadily progressed since beginning high school, but slowly because his low cognitive levels impeded his memory. Ms. Bahremand worked with Student about three hours a day and considered Student a good pupil, hard working, and respectful. Ms. Bahremand explained that Student’s AA, Mr. Moore, assisted Student with his curriculum throughout the day because Student required constant prompting and cuing to remain on task and to encourage recall. Student struggled with recalling information previously taught, whether old or new concepts. 25. Ms. Bahremand explained that Student had no problems with physically maneuvering in the classroom and she never saw the AA physically move Student in class. Student never fell in class and she never saw the AA having to hold onto Student in order to 25. prevent a fall. 4 CAPA is the alternate assessment for the California Standards Tests (CST) and is for children with disabilities who cannot take part in general statewide assessment programs. 26. Ms. Bahremand knew that Student had asthma and could have seizures, but Student never had a seizure or lost consciousness in her classroom. She never had to remove Student from her classroom because of an asthma attack, but she had seen Mr. Moore occasionally give Student an inhaler for an asthma attack. 27. For the 2008-2009 school year, Student used his SpringBoard, gestures, body language, some sign language and words, to communicate in class and with his peers. He did not rely on one means of communication. Ms. Bahremand explained that Student could not master one form of communication to be used exclusively, and that his communication was simple, because he was intellectually incapable of complex communications. 28. Ms. Bahremand knew that Student was receiving sign language training from DHH, and never consulted with the DHH provider. Student’s classmates did not know sign language. Student’s use of sign language was very limited, as he could only sign about three words. In addition, Student progressed very slowly in SAL because of his disability. Student’s SAL services were sometimes individual, group, or in the classroom. She and the SAL therapist would regularly collaborate regarding Student’s communication and concluded that Student possessed limited speech abilities, which would not change substantially. Student would try to verbalize “yes” or “no,” but he was very difficult to understand. Ms. Bahremand explained that Student primarily communicated with gestures, body language, and his SpringBoard device. 29. Ms. Bahremand received training in the use of the SpringBoard and how Student should use the SpringBoard to communicate in class and with his peers. He used the SpringBoard to participate in the curriculum, which could be incorporated into the machine’s programming. Student could ask and answer questions with the SpringBoard and used the SpringBoard in every class and on field trips. She believed that Student received educational benefit from using the SpringBoard device in 2009. 30. Ms. Bahremand never observed Student to have a negative reaction to the SpringBoard. He did, at times, refuse to use the SpringBoard, but she never understood why. The SpringBoard always appeared to be in good working order. 31. The IEP team drafted annual goals and objectives for Reading Decoding, Mathematics, SAL, Vocational Education, Motor-PT, DHH Sign Language, and Gross Motor – Adapted Physical Education (APE). 32. The IEP stated that the Student’s accommodations and instructional modifications were dependent upon Student’s assigned AA, whose services would continue. The educational summary stated the content materials would be presented at Student’s cognitive level with instructional assistance provided by the AA for: task attention, academic/daily living tasks, reinforcement of skills taught, repetition, repeating of directions and instructions, support access for bathroom needs, Student’s general education classes, assistive technology, use of computer, and monitoring health needs associated with asthma. The IEP unambiguously stated that Student’s AA was necessary for Student to access his curriculum, to receive his related services, and to assure his health and safety. The IEP does not specify that the AA had to be male. 33. District’s offer of placement and services was: placement in an age appropriate SDC in District’s MRM program; APE, one to five times a week; DHH itinerant once a week for 30 minutes; SAL therapy once a week for 30 minutes. The IEP provided that District would transport Student from home to school, and back, with the AA. District would continue to provide the AAC SpringBoard device, as well as AT computer support with the Intellitalk adaptive keyboard, and the Classroom Suite programs. The IEP included an individual transition plan (ITP). In addition, the IEP provided ESY during summer of 2009, because the impact of Student’s disability could result in a “pattern of regression and difficulty retaining knowledge after vacation and school breaks.” The ESY included all of the IEP’s related services. 35. On the first day of ESY, a female AA came to accompany Student on the bus ride to school. Consequently, Mother visited the summer principal and asked why the aide was female, not male, which she asserted was discussed in Student’s IEP. The summer principal told Mother that he was neither the one who hired the aides nor the one who made such decisions. While at VHS, Mother noticed that Student was walking alone and that the aide was assisting other children. 36. The next morning, when the female aide came to get Student for the bus ride, Mother asked why Student was walking alone on campus. The aide responded that she was trying to watch all the children and keep them safe. Mother returned to VHS and asked the summer principal why there was not an AA exclusively assigned to Student. He advised that he was working on the situation. 5 Mother also stated she was “invoking stay put” on the male AA. However, Student did not produce evidence of any signed IEP which required the AA to be male. 6 Mother actually said she disagreed with the reduction of SAL services. Student did not submit evidence indicating that the 2009 annual IEP reduced SAL services. 7 Student did not submit any testimonial or documentary evidence establishing that the Springboard had been broken or unusable. To the contrary, the evidence at hearing showed that it worked at all relevant times. 37. ESY was a four-week, full-time program. The AT provider logs confirmed that Student did not have an assigned AA until about the last week of ESY 2009. Specifically, the July 27, 2009 entry stated Student “now has an aide.” As such, for the first three of the four weeks of ESY 2009, no AA was available to accompany Student as he moved about the classroom and campus and to support Student in his curriculum and related services. The AT log also included entries indicating the AA had to be trained to work with Student on his Intellitalk adaptive keyboard and on various activities on the Classroom Suite software which Student used for his core subjects. 38. Mr. Fenig replaced Student’s SpringBoard device with a new SpringBoard Lite, for the 2009-2010 school year because the older SpringBoard was aging and had battery issues. In addition, Mr. Fenig wanted Student to have the new version, which was lighter and offered other improvements. When Mr. Fenig delivered the SpringBoard Lite, he met with Student and Mother to work on the setups that would be required for the fall semester and for home. He trained the AT provider, the SE teacher, and the AA, who was primarily responsible for cuing and redirecting Student, and for encouraging him to use his Springboard voice output device. 40. The team reviewed Student’s PLOPs for English Language Arts, Mathematics, Written Language, Vocational Education, Health, Sign Language Communication, Object Control, Communication, Gross Motor, and Behavior. 41. Ms. Fonseca, who conducted a SAL assessment of Student on April 18 and May 3, 2010, prepared a report, which she used to prepare Student’s Communication PLOP. She reported that Student had reached his two objectives and was close to achieving his annual SAL goal. However, the results of tests assessing receptive language showed that Student scored in the less than one percentile, which had a corresponding age equivalent of four years, two months. Ms. Fonseca explained that these results were consistent with Student’s cognitive level of development. Student also could not attend to a task for more than 20 minutes and required regular redirection. 8 Ms. Fonseca could not recall the reason for her absences from both May 2009 IEP meetings and the May 2010 IEP, and neither party submitted evidence explaining the absences. In the complaint resulting in the instant hearing, Student did not assert that these absences constituted procedural violations of the IDEA that resulted in a denial of FAPE. 42. The assessment results also showed that Student significantly struggled with expressive language skills, which fell in the intentional/pre-symbolic to symbolic range, which was the age equivalent of a three-and-a-half to four-year-old. At hearing, Ms. Fonseca explained that Student was motivated and cooperative, but his abilities to speak and express himself orally were very limited, because of his developmental level and deeply impacted cognitive ability. She attributed Student’s low language skills to his low cognition, since communication was commensurate with cognitive development. Student’s cognitive level remained the same over the four years she had worked with Student. 43. The PLOP Ms. Fonesca prepared indicated that Student smiled, vocalized, pointed, protested, greeted, and used body language, facial express, and gestures to get a person’s attention or to express his feelings and desires. Student could identify pictures, objects, and use some ASL signs for the purpose of communication. 44. Student also had oral motor limitations. His neuromuscular disability impacted speech sound production. The formation and function of his oral structure lacked the necessary mechanics to make sounds required for speech. For example, Student struggled with the ability to round his lips and control placement of his tongue tip, which were necessary for oral production. 45. The Communication PLOP concluded that Student made significant progress in speech therapy, but in the context of a collaborative delivery model. The PLOP noted that Student was using his SpringBoard more frequently and effectively and that his motivation towards speech intervention had improved. Student was often eager to initiate conversation. The PLOP also indicated that Student’s teacher was pleased with his progress, especially with Student’s use of his voice output device to participate in classroom activities. Ms. Fonseca testified that Student’s progress in communication skills was in his willingness to engage in conversation using his multimodal communication model. Student did not make measurable progress in verbalization, because of his cognitive and neuromuscular disability. 46. Ms. Fonseca recommended that Student continue to receive SAL services, one time per week, for 30 minutes, for a total of 120 minutes a month.9 Consistent with her expert view expressed in the 2009 annual IEP, Ms. Fonseca persuasively testified that increasing the time and frequency of SAL therapy in his 2010 IEP would not make a significant difference in Student’s oral performance because of his low developmental and cognitive levels. 9 Both the 2009 annual and the 2010 triennial IEPs referred to compensatory SAL therapy hours pursuant to a prior agreement, noting the amount of therapy still to be delivered. Neither party addressed whether these additional SAL hours contributed to Student’s communication skills progress. 47. Student did not achieve his DHH goals. The sign language PLOP reported that Student knew and spontaneously used only a few signs: bathroom, mother, fine, no, and thank you. Although Student maintained his previous signs, he did not acquire any new signs. Ms. Schimmoller estimated that Student’s developmentally delayed sign language was at about a two-year-old level. Sign language was a second language acquisition and Student’s ASL was lower than Student’s auditory/spoken English. Ms. Schimmoler reviewed the DHH service notes and concluded that Student did not make progress in sign language. Student lacked recall of signs previously learned because of lack of cognitive ability. Additionally, Student’s CP inhibited his ability to appropriately form signs. Ms. Shimmoler never saw Student use more than one sign at a time and he typically used generalized gestures. She persuasively and credibly testified that continued DHH services would not enable Student to progress in his sign language abilities, because more time would not increase Student’s cognitive and physical abilities. Also, Student did not have a community of DHH peers and teachers. Therefore, Ms. Schimmoler recommended that DHH services be discontinued because such services were not assisting Student in benefiting from his curriculum, and did not meaningfully contribute to the effectiveness of his multimodal communication model. 48. The school nurse, Ms. Beckwith, conducted a Nursing Assessment, which she used in preparing the Health PLOP. She summarized the status of Student’s ataxic CP, asthma, seizures, and eczema. She noted that Student had grown in maturity over the past few years and had assumed more responsibility for his needs. Though Student remained nonverbal, he communicated with gestures and sounds. She knew Mother had reported that Student’s seizures had increased over the previous year and that he had intermittent, severe asthma attacks, with increasing frequency. He took multiple medications for his various needs, administered when necessary. The PLOP concluded that Student required close observation on the bus and in the classroom to assure his safety, and to ensure Student took his medication in a timely manner. The FBA PLOP also concluded that Student required an AA during transportation, in the classroom, and on campus, for health and safety issues. 49. Ms. Beckwith also testified that although the IEP did not require the AA to be male, Mr. Moore continued as Student’s AA. In her years of observing Student and his AA, Ms. Beckwith had never seen a situation, such as a stuck zipper, which required the AA to enter the bathroom and assist the Student. Ms. Beckwith testified that, according to school policy, an AA could assist a student in the bathroom, regardless of gender. In addition to their training, aides are vetted, fingerprinted, and subjected to background checks. All aides, regardless of gender, are trained to handle a student’s struggles with balance and to assist students who might fall. The school nurse did not recommend that the AA be male and noted that Student could handle toileting independently. 50. Student never had a toileting accident in Ms. Behremand’s class. The AA and Student would leave the classroom, at least once a day, to use the bathroom. The AA advised Ms. Behremand that he never entered the bathroom with Student, because Student did not require assistance in toileting. As such, Ms. Behremand did not believe that Student needed a male AA. She had seen Student work with a female aide and he cooperated well. 51. The May 2010 IEP noted that Student benefited from the SpringBoard Lite voice output device. Ms. Bahremand and Ms. Fonseca noted Student’s increased use of the SpringBoard during classroom activities and when interacting with peers. The IEP team viewed the SpringBoard as an essential component of Student’s multimodal communication model, as noted in the Communication annual goal. The Vocational Educational objectives and goal specifically targeted increasing Student’s use of the SpringBoard to communicate and express himself without substantial prompts and assistance. 52. Mr. Fenig testified that the SpringBoard Lite was a device made for communication. Specifically, the page sets, the design, and the use of symbols were all research-based and designed to help those with communication needs, access interests and wants, and access academics by answering questions or providing vocabulary. The SpringBoard and its software could be programmed for increased language complexity or to address a particular curriculum. Student had no problem in transporting the SpringBoard Lite. Mr. Fenig opined that Student received an educational benefit in using the SpringBoard. He based this opinion on his review of the two IEPs and provider logs, as well as his personal conversations with the SAL therapist, SE teacher, and AA. 53. The May 2010 triennial IEP, like the 2009 annual IEP, stated that the Student’s accommodations and instructional modifications were dependent upon Student’s assigned AA, whose services would continue. The IEP affirmed that Student’s AA was necessary for Student to access his curriculum, to receive his related services, and to assure his health and safety. The IEP did not specify the AA was required to be male. 54. District’s offer of placement and services included a placement in an age appropriate SDC, in District’s MRM program at VHS. Student would participate in an alternative curriculum and not be subject to District grade standards or the CSTs. The IEP also provided a Specially Designed Physical Education class (SDPE) instead of APE; the elimination of DHH ASL services; and SAL therapy once a week for 30 minutes, not to exceed 120 minutes per month. In addition, District would provide transportation from home to school, and back, with the AA. District would also continue to provide the AAC SpringBoard Lite device, as well as the AT computer support with the Intellitalk adaptive keyboard, and the Classroom Suite programs. District also offered Student a walker for those occasions when Student might be especially tired following an asthma attack. The IEP included an individual transition plan (ITP). 55. The May 5, 2010 IEP also provided for ESY, for summer of 2010, because the impact of Student’s disability would cause regression during vacations and breaks. ESY included all of the IEP’s related services. 56. Mother consented to implementation of the IEP’s placement and related services, but did not agree that the IEP provided FAPE. She also requested her May 2009. Parent Comments be attached to the May 2010 IEP, wherein she listed her disagreements. Specifically, she believed the AA needed to be male to assist with toileting, and felt Student’s SAL services were insufficient. The 2009 Parent Comments sought a new AAC device, but a new SpringBoard Lite had already been provided before the May 2010 triennial IEP. Mother disagreed with the elimination of DHH ASL training and asked that it continue until the dispute was resolved. 57. The week before ESY started for summer 2010, the school bus came by to check the route. However, when Student dressed for the first day of ESY the following week, he could not ride the bus because no AA came to accompany him. He had to stay home. The next day, no AA came and Student could not get on the bus when it arrived. Mother went to VHS and talked to the summer principal, who said he was aware of the problem and was working on it. For the remainder of the week, the bus arrived but Student could not get on the bus because of the AA’s absence. The District never provided an AA for Student and he missed attending ESY 2010 in its entirety. 1. Student contends that District failed to provide him with a FAPE in his May 11, 2009, and May 5, 2010 IEPs by failing to provide him with sufficient SAL services and appropriate AAC equipment. In addition, Student asserts that District improperly withdrew DHH services and failed to offer a male AA in his May 5, 2010 IEP. Student further contends that District failed to implement the May 2009 and May 2010 IEPs by not providing Student with ESY services. 2. District contends that the May 2009 and May 2010 IEPs provided sufficient SAL services and appropriate ACC equipment. District further contends that the May 2010 IEP properly withdrew the DHH services, because Student was not receiving educational benefit. In addition, District contends that it offered Student a FAPE despite the IEP not specifying that the AA had to be male. District also asserts that it offered ESY during the Summer 2009, which Student attended and received related services, and similarly offered Summer 2010 ESY services. 28. Student is not entitled to a remedy on issues a through d, because he did not demonstrate that he was denied a FAPE on those grounds. However, Student prevailed on issue e, for which he seeks compensatory educational and related services, as a consequence of District’s failure to implement Student’s IEPs for ESY during the summers of 2009 and 2010. 31. As established above, District failed to provide Student with a FAPE for three of the four weeks of ESY 2009 and all four weeks of ESY 2010. Consequently, Student lost seven weeks, or 35 days, of instruction and services. 32. Student poses a unique challenge in crafting a remedy which will provide educational benefit because of his deeply impacting multiple disabilities. The evidence indicates that mere hour-for-hour compensatory educational and related services would not necessarily meaningfully benefit Student, especially since he is 19-years-old and about to leave high school. However, because Student is not receiving a high school diploma, the District potentially remains a provider of special education services until Student turns 22 years of age. Therefore, the lost hours of educational and related services provide guidance in fashioning a meaningful educational benefit. 33. Student missed the benefits of SAL therapy and DHH ASL training for the seven weeks he was without an AA for ESY. Each therapy session was 30 minutes a week. However, as discussed above, the DHH ASL training was not providing Student with educational benefit by meaningfully providing access to Student’s multimodal communication system. The SAL therapy, though, was benefitting Student by maintaining and encouraging Student’s willingness to engage in conversation using his multimodal communication model. Though Student may not benefit from receiving more than 30 minutes of school based SAL, SAL services would benefit Student when school is not in session. Given that Student had lost seven hours of SAL and DHH, a beneficial remedy is an additional seven hours of SAL compensatory services, to be provided by District personnel in addition to the amount specified in Student’s operative IEP, and to be used prior to Student exiting the District by moving or aging out of special education eligibility. 34. The IEPs emphasized the necessity of a one-on-one AA to provide Student access to his curriculum. Student lost the benefit of his AA for the 35 days District failed to implement the IEPs of ESY 2009 and 2010. Therefore, as compensation, Student is entitled to additional one-on-one AA services, in an amount equal to the hours he was without his one-on-one AA for 35 days during ESY of 2009 and 2010. The AA shall be a District aide, trained to provide the services outlined in the IEP. Student may use the AA hours for further guidance in using the AAC device, to accompany Student to SAL and AT related service, to assist or accompany Student with transitioning from high school and into the community, as contemplated by his individual transition plan (ITP), and to provide service to Student when participating in community educational programs. Student may access the AA hours at anytime 45 days following the issuance of this decision, until such time as he is no longer eligible for special education from District, at which time the remaining AA hours will be forfeited. These AA hours are in addition to the AA services provided by Student’s IEP. 1. Student has failed to meet his burden of proof as to Issues a, b, c, and d.
2. Student has met his burden of proof by a preponderance of the evidence as to Issue e, establishing that Student was denied a FAPE for seven (7) weeks during the ESYs of 2009 and 2010. 3. District is ordered to provide seven (7) hours of SAL compensatory services by a District SAL therapist prior to the time Student is no longer eligible for special education services by the District. 4. District is ordered to provide compensatory one-on-one AA assistance, in an hourly amount equivalent to 35 days of ESY for 2009 and 2010, to be provided by the District during times that an AA would not normally be provided as part of Student’s IEP. 5. Student may access the AA hours at any time 45 days following the issuance of this decision and up until such time as he is no longer eligible for special education services from the District, at which time any remaining AA hours will be forfeited. This Order contemplates that District shall arrange for the AA services at mutually agreed, reasonable times after school, or when school is not in session, excluding holidays. Education Code section 56507, subdivision (d), requires that this Decision indicate the extent to which each party prevailed on each issue heard and decided in this due process matter. District prevailed on four issues; Student prevailed on one.